When trying to determine if colored diamonds are becoming a new fashion trend, the best place to turn to is the fashion runways of the world, and of course, Hollywood’s red carpet. All fashion trends originate here. So let’s take a look and see what’s happening. Because celebrities usually have first access, and sometimes the only access, to the newest trends, it’s to them we turn to see what’s happening in the world of fashion. 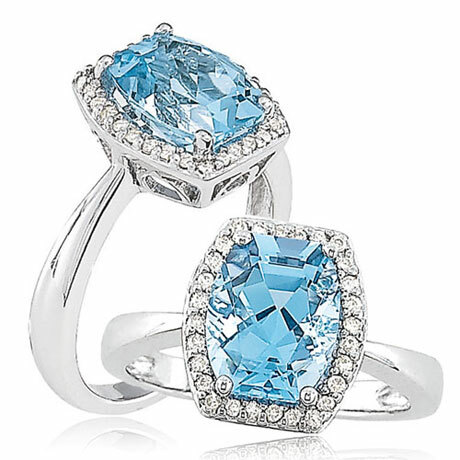 With regard to diamonds, it’s clear that color is in. When Alicia Keys walked out on stage during the 2013 Grammy awards donning a David Yurman chain of paved pink and black rocks, heads surely turned. When Carrie Underwood flashed her striking flawless yellow diamond it was no different. Fans stay tuned into what their favorite celebrities are wearing, and they mimic them as often as they can. The Rapaport report clearly indicates that colored diamond purchases are on the rise. In 2013 alone, the sale of colored diamonds showed significant gains while most other commodities and goods showed a decline in sales. The report goes on to show that this increase in colored stones sales isn’t anything new to the diamond world. In fact, colored diamond sales have steadily increased over the last decade. So how has this affected the sale of other white rocks? Well, white diamond sales are still good, but colored stones sales are steadily growing each year. That definitely indicates a trend being set. So can this trend be directly connected to the red carpet or the world’s top runways? Let’s take a look. Is it just coincidence, or could the fact that the world’s first ever jewelry-only fashion show hit the runway in New York City in 2004? It sure did. Famed jewelry designer, Chris Aire, came up with the idea, and made his jewelry fashion show debut at Gotham Hall in 2004. His show contained an astonishing $175 million dollars’ worth of diamonds that included a 95 carat yellow diamond bracelet, pink and yellow stone dog tags, a brilliant purple marquise diamond ring, and a host of other remarkable, never-before seen colored diamond piece. But, the colored diamond trend didn’t stop there. For the last decade, colored diamonds have been seen at every award show Hollywood has hosted. The fashion runways of the world, including Paris, New York and Prague have seen a continued splash of diamond color as their beautiful models walk their famed runways. Coincidence? Probably not. Colored diamonds are definitely trending, and they will probably trend for many years to come. Pink and yellow are among the top sellers, but there are many other colors to choose from. You may not be able to afford the cut, clarity and carat rock your favorite celebrity is wearing, but that doesn’t mean you can’t find a smaller, less expensive diamond in the same color they have. These days, colored diamonds are available to everyone! The days of the wealthy and famous being the only class of people to own loose diamonds is long gone. Loose diamonds are more popular with any class of people than ever before. This is because they not only make a great investment, but people have come to realize just how easy it is to design their own jewelry using loose diamonds. Here are a few tips on how to get loose diamonds online, and why doing so can save you hundreds and maybe even thousands of dollars. Before you search out any loose diamonds it’s important to understand how diamonds are graded. The 4 C’s are an industry-wide grading system used to inspect, and grade diamonds. Clarity, color, cut and carat are the main attributes of all diamonds. A diamond is inspected for each of these features and graded according to the degree or place of where it falls on the scale. Clarity refers to the degree of imperfections (Or lack thereof) a diamond has. Color refers to the amount of color saturation a diamond has. Cut refers to the quality of the cut used to shape the diamonds, and carat refers to the number of points a diamond is given. For instance, a diamond that has been assessed 350 points would be considered a 3.5 carat diamond. Familiarize yourself with the 4 C’s so you’ll know what to look for when comparison shopping online for diamonds. The higher grade a diamond gets in each category, the more valuable it will be. The best place to find the current price of loose diamonds is in the Rappaport Diamond Report. This is another industry-wide tool used by all diamond retailers and wholesalers to set prices on loose diamonds. It’s the most accurate, and up-to-date pricing guide for diamonds, and a reputable diamond dealer will allow you access to one; this includes online diamond retailers. If you’re a little nervous about shopping for loose diamonds online, the Rappaport Diamond Pricing Guide Report may be just the confidence booster you need to find great prices on loose diamonds. Why shop for loose diamonds online? Simply put, online retailers don’t have to invest in pricy store-front displays, they don’t have to hire front counter personnel, and they don’t have to pay rental prices on traditional brick and mortar stores. These savings filter down to you when you shop online for loose diamonds. Again, it’s important to understand how diamonds are graded, and ultimately priced. The Rappaport Diamond Report, and knowledge of the 4 C’s, are your best tools to help you do this. Knowing what is a good price and what isn’t a good price for loose diamonds will give you all the power you need to save hundreds, and maybe even thousands, of dollars on loose diamonds when you shop online. The holidays are the most popular time of the year for popping that all-important question, “Will you marry me?” And why not? The holiday season is magical and enchanting, and it’s the time of year when our most memorable memories are created. It’s also the best time of year to find the hottest deals on diamond engagement rings. Retailers are biting at the bit this time of year with only one thing in mind; to do whatever it takes to get you to spend your hard-earned money with them for the holidays. So why can you find such fine diamond jewelry, loose diamonds and diamond engagement rings for such drastic sales when the holidays hit? There are a few reasons for this. One of the biggest reasons is that retail competition is thick as thieves during the holiday months. Retailers are aware that the holiday season isn’t just the season of giving. It’s also the number one season for heartfelt proposals. As such, each diamond retailer is vying for your business. They’ve got to strategize and come up with ways of getting you to their site before you go to someone else’s site. The easiest way to do this is with ridiculous SALES! SALES! AND MORE SALES! 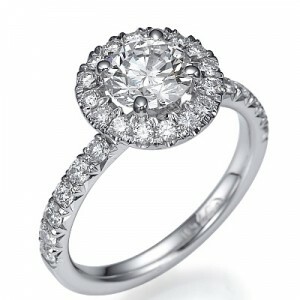 Sales on all styles of diamond engagement rings are abundant this time of year. Whether you’re searching for the perfect vintage diamond engagement ring or a more traditional single center stone ring or even if you’re eyeing a newer, more modern design, diamond engagement rings are almost always on an all-time record sale during the holiday months. Another reason you can find such great deals on diamond engagement rings during the holidays is because, for most diamond retailers, it’s the end of their fiscal year. This means they are on a hard push to get rid of their current inventory to make room for the newest designs for the up-and-coming new year. This means huge markdowns on massive diamond inventories. These incredible markdowns include loose diamonds and settings as well. This means that for those of you who are considering designing your own diamond engagement rings, the holidays are the perfect time to do it and save hundreds, maybe even thousands, of dollars. Be sure to take full advantage of this holiday retail frenzy. As a consumer, you stand to save more money by purchasing your diamond engagement ring during the holidays than you do at any other time of the year. Even if you aren’t planning on proposing right away; you can still purchase the ring now, and store it away some place safe until it’s the perfect time to propose to your loved one. Be sure to take your time, and shop around. There are lots of great deals out there; some better than others. 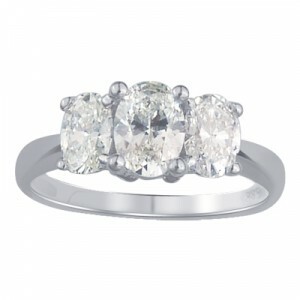 Shop smart for your diamond engagement rings this holiday season, and you’ll find super savings!